Y S Bharati Reddy, the wife of Congress’s bête noire in Andhra Pradesh, Y S Jagan Mohan Reddy, has written to the prime minister against the continued incarceration of her husband. 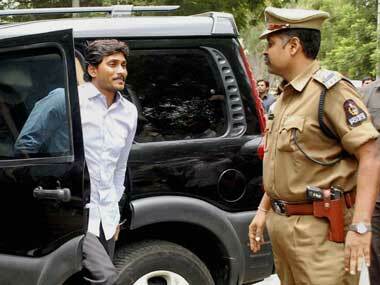 Bharati, in a four-page letter has said that the central bureau of investigation has been relentlessly pursuing custody of Jagan Mohan. The latest CBI stand in the media, she says, exposes the hounding of her husband by the investigating agency. The supreme court, in May, extended the custody by four months after asking CBI to complete investigations within these four months. This is the second deadline the court has set for the investigating agency. However, within minutes of the court order, Bharati alleges, the CBI lawyer told the media that the deadline was not binding on the agency and by its expiry it would find something to ask for another extension even though Jagan Mohan would be eligible for bail then. Read her full letter in the attachments below.